After 3+ weeks of frigid temperatures and lots of snow (we were so spoiled in December with mild temperatures), soup has been in regular rotation on our weekly menu plan. 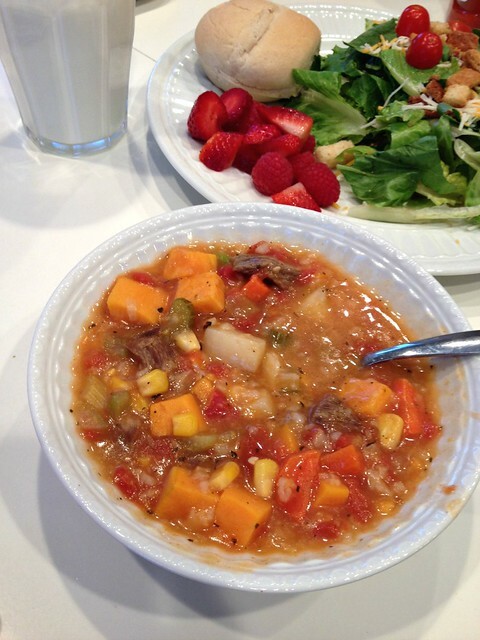 A couple weeks ago, the ONLY soup I really wanted to make was vegetable beef soup. I had lots of veggies in the house (some that were starting to get a bit wilty) and I knew I had an extra pound of stew beef in the freezer. I didn’t have an exact recipe (I’ve actually never made this soup from scratch before) but I’m super happy with how it turned out. And since it was a relatively simple, throw-everything-into-the-pot type of recipe, I figured it would be a good one to share here on the blog! 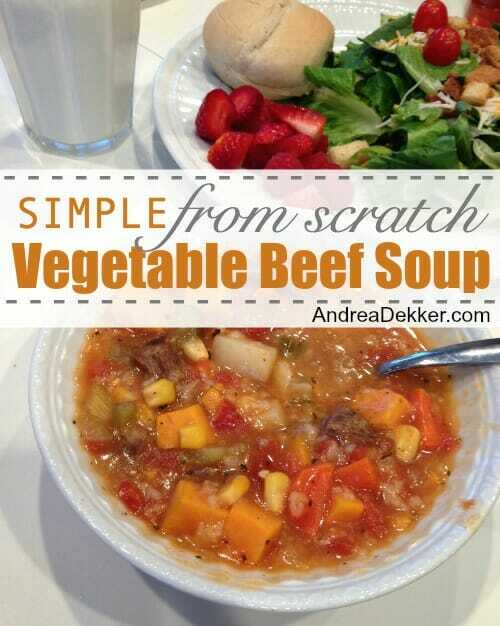 If you have a bunch of veggies to use up and are looking for an easy make-ahead, very hearty meal, I’d recommend giving this vegetable beef soup recipe a try. NOTE: You can add ANY vegetables you like and/or have in the house. If it’s too thick, add more water or broth. If it’s too thin, add more rice or potatoes. You can also substitute ground beef for the stew meat — although I think that completely changes the taste of the soup (not bad, just different). 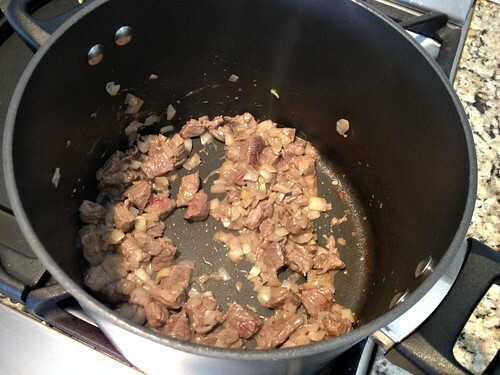 In a large stock pot, brown stew meat with onions and garlic — stirring to prevent burning. Drain fat (if any) and return meat mixture to the pan. Reduce heat, cover, and let simmer for 1-2 hours. See, told you it was simple! 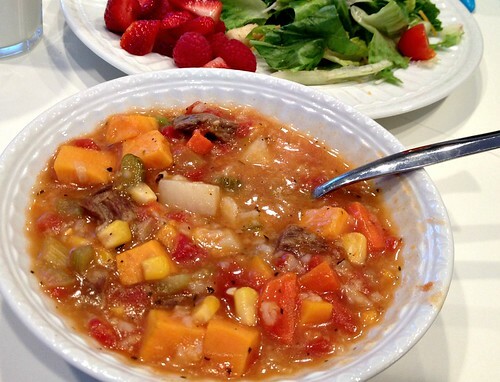 This soup is fabulous as leftovers and keeps well in the fridge for several days. It also freezes well — so feel free to make a double batch. It really hit the spot on a -10*F day and definitely satisfied my Vegetable Beef Soup craving. What are your favorite cold-weather soup recipes? 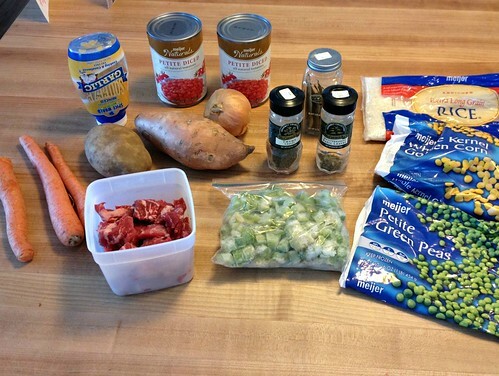 I did this recipe today so I could use up some beef stew meat in my freezer. I also used riced cauliflower instead of rice (just add it in at the end, don’t simmer the cauliflower for 1-2 hours!) My recipe used more beef, as my package was closer to 2 lbs, and it still turned out great. 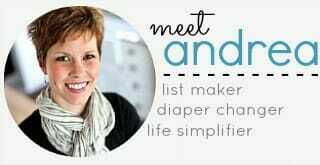 Oh, Andrea! You just made me hungry again. Today I make chicken noodle soup for my husband and me. It was a good meal for a cold day. Thanks you for the great recipe. I will try it very soon with chicken (we do not eat much beef). Thanks again! If you cook noodles or rice separately , chill them and add to the individual soup bowls. The soup cools to the perfect temperature. I also buy frozen mixed vegetables which makes it even easier. 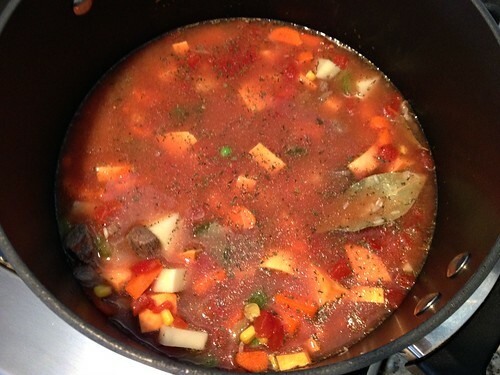 I also have made Beef Veggie Soup with fresh veggies in the summer and canned it for a quick winter meal. Good tips — thanks Carrie! Oh this looks so good – especially on this snowy day!!!! It rarely gets that cold her in coastal Alabama, but white chicken chili is my favorite. Passionate Penny Pincher’s recipe is the best. I love these easy meals. Plus there is very little cleanup. I also like the from scratch. If you were to peer into my pantry you would find baking ingredients, a few random cans of tuna, specialty oils like walnut and macadamia nut, olive oil and a fairly large assortment of jarred peppers, olives, mustard and the like. Not a lot to pull out for an instant dinner! There is no pasta or rice right now, since we are low-carbing it. It is a challenge to make a low carb or low glycemic soup, but here is how I do mine using whatever frozen veggies I have on hand. I start with some stew beef and onions, garlic and shallots. Yeah for aromatics. Then I add beef stock (usually Imagine brand, or home made from the freezer) and add frozen kale, frozen chard, frozen spinach to add color. Not all three at once! Then I add some bright colors. If I want an Italian bent I added jarred red peppers and basil, marjoram and thyme. Or if French, some Herbs de Provence, and cut carrots and perhaps some tiny white beans, and a slash of white wine. If I have some tired green beans I may add them at the end of the cooking. Or, maybe some slices of zucchini, and cans of diced tomatoes. 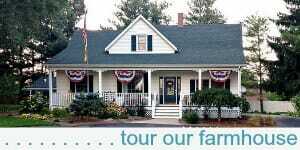 I may sub the beef for kielbasa if I can find a good nitrate free version that tastes like the old Hilshire farms. In my freezer, I nearly always have butternut squash which is a great addition. We rarely eat legumes, but if I can locate some butter beans, I will add them too. Other than the main protein to,start nearly everything is on hand. It just makes it so easy. I don’t care for ground beef in stews or soups, but we make a mean Texas style chili. Meaning big chunks of beef and no beans. My dad was from Texas. He taught me beans are for refritos, not chili. Another one of my toss into crockpot and cook all day solutions to a busy day is a form of tortilla soup. That starts with previously cook diced or shredded chicken, and gets topped at the end of cooking with cilantro and sour cream. We will use some organic non GMO corn tortillas which I cut in strips and bake. Heaven. The best part of these meals if using a slow cooker, is coming home to the heavenly aroma! Cooking without recipes is basically how I roll so we never have the same soup twice. The only time I measure anything is for baking, since we don’t buy mixes for cookies, brownies or cakes. We don’t eat many cakes, but I do make a mean savory scone that is reminiscent of those deadly red lobster biscuits. I make mine with unsalted butter and almond flour. 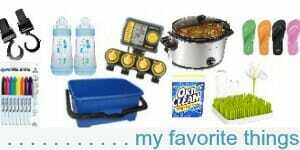 They are fantastic with soup, chili, stew and of course for snacking. Yes I def will try it. To make it low carb though I would leave out the peas and the corn also. We try to stay in the 75 to 100 grams range which is pretty easy if we don’t eat grains (which we never do anyway) and just temporarily suspend starchy healthy veggies like sweet potatoes, squash etc. we only do this after the excesses of the holidays. Come February those orange veggies will be back. For now it is green stuff. Mine is chili……it’s nothing special, but love it in cold weather. Take a pound of ground beef or turkey or venison and brown it. Drain grease if necessary. Add as much chopped onions as you prefer, maybe celery if you have it and a package of Chili-O mix. I then add a big can of diced tomato and two small cans of beans (black, kidney, pinto, northern…doesn’t matter)….if I feel like it, I may throw some corn in or leftover sweet potato….depends on what is around. If I have fritos or jiffy cornbread…best dinner ever. This was how my mom made chili and it’s my family’s favorite way. Looks delicious and healthy! My husband and I are trying to lose some extra pounds and something like this wouldn’t be a bad addition to our meal plan! Thanks for posting, can’t wait to give it a try. lots of veggies — that’s for sure. And honestly not much fat at all!